Here is the fourth in what is said to be a series of eight. In “Invasion” Izzo’s sweet dragon terrorizes some innocent townsfolk. 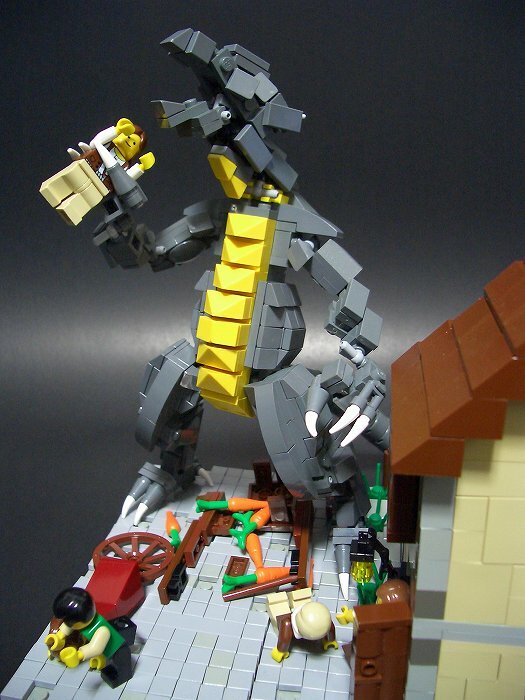 I see that the dragon has skipped the veggies in favor of succulent townsperson. Didn’t his mother teach him that carrots are good for you? I like how the townperson being eaten is still smiling. Ah, the heroism of minifigs!